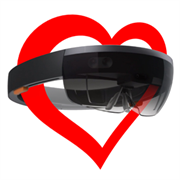 My name is Woon Cho who is interested in learning how to connect to the BLE with HoloLens but not Heart rate monitoring. For this reason, I would like to ask your plan for the Plugin whether it can be opened to the public. Although I found UWA…in your github, it is empty. I’m really into this kind of sensor collection / fusion work, please drop me a line if you are interested in working on more stuff like this! I just downloaded this plugin from the asset store. Very cool. I am just delving into AR with experience in VR. However I am not yet well versed in writing plugins. I was wondering how can we access the Heart rate data of a BLE HR monitor (Polar HR10) without connecting it to Holo Lens. I do not own a Holo lens yet. I have an interesting idea to use HR for running games in a VR environment. Do you think this is possible ? Would it be possible to tweak your code and not look for a AR device and directly scan for a HR monitor ? Thank you for the inputs and help. The plugin is written for publishing apps as Windows UWP apps so in theory it should work on any of the Windows environments supporting UWP that have Bluetooth 4.0 capabilities — HoloLens, Windows MR (e.g., Acer headset), Windows desktop, Windows phone, etc. In practice, I have only tested it and confirmed that it works on Windows Desktop and HoloLens. If you are writing VR games for other desktop platforms such as HTC Vive or Oculus Rift you will not be able to use this plugin because apps published for those playback environments are published as basic Windows executables instead of UWP executables. When Microsoft released UWP they created new Bluetooth communication classes to work with Bluetooth 4.0 and that is what I’m working with.